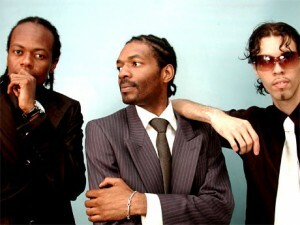 The trio includes two young Cameroonian and one ”citizen of the world” whose adventure begins in 1998. First made up of two members during their childhood in the streets of Biyem-Assi in Yaoundé. On their way, they met Hais Zaiter. They realized that he had the same groove as them. Hais Zaiter is the guitarist. They started interpreting songs and later started composing their own melodies. Hans Mbong, promoter of the ”Association Axe Jeunes’‘ helped them stirrup in the concept « les ca me dit rap”. The French cultural centre of Yaoundé was the ground for their very first show. The group is not only remarkable because of the presence of a white but also because of their stunning choreographies. 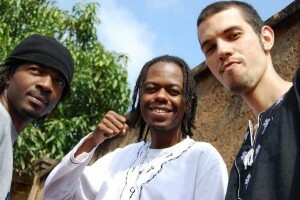 After the release of their new album,the group has been very busy with shows all over Africa. great write up! something a bit uncomfortable about the wording re the white member. it shouldn’t be a big deal for camer musicians to jam with people from anywhere. i thought this gp sang in bassa. uh, It is a shame most can’t tell what is hip hop nowadays. It is appropriate to mention X maleya isn’t hip hop. However, good makossa music (à la Eboa Lotin)! hey mr unknown,x maleya is a blend of hip hop and african rhythms to wat we now call afro hip hop.they also do hip makossa.its hip hop men!! Viva Cameroun, thanks for the lyrics. @ Vera, ils chantent en Bassa. Or watching ads for power ups games?